EDIT: The location for the Dutch Genealogy Meet-and-Greet has been changed to the lobby of the Amway Grand Hotel. To be able to meet as many of you as I can and to give you a chance to meet each other, I am inviting all Dutch Genealogy readers to come to a meet-and-greet on Thursday May 3, 2018. We will meet in the lobby of the Amway Grand Hotel at 5.30 PM. The hotel is connected to the conference venue DeVos Place and is just a short walk away. It will be a chance to connect with people who share an interest in our Dutch heritage and I can answer short questions you may have about doing research in the Netherlands. 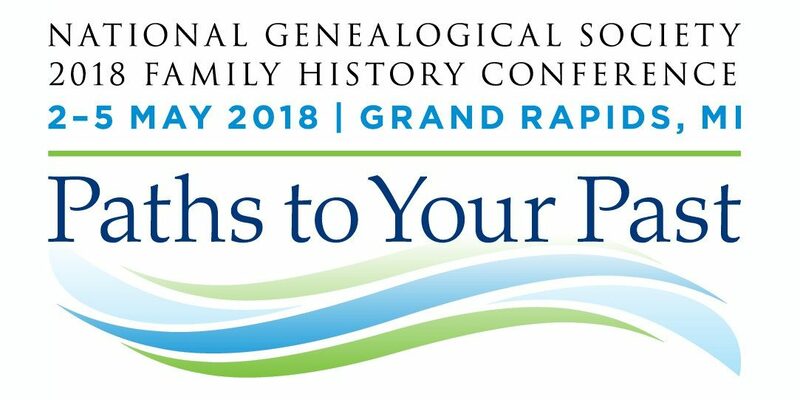 After the meet-and-greet, fellow genealogist Elaine Obbink Zimmerman is organizing a dinner for people who are interested in Dutch genealogy. People who want to join Elaine for dinner will meet at a place to be determined within walking distance from the conference center between 6:30 pm and 7:30 pm on Thursday May 3, 2018. The plan is to gather at a place where one pays for their own food/drinks/gratuity themselves to eliminate a room charge. The agenda is simple- there isn’t one! Elaine will offer a few opening remarks. This is a chance to sit with friends – old and new – to discuss Dutch Genealogy. Only those who made advance reservations will be admitted due space limitations. Contact Elaine Obbink Zimmerman at elaine@familythreadsgenealogy.com to make your dinner reservations by April 12th. Provide your Name(s), email address, and cell phone number. You will be contacted with more details of the exact location. You don’t have to sign up if you just want to come to the meet-and-greet. These events are unofficial and not affiliated with the NGS conference. Please do not contact conference organizers as they are not involved with the gatherings. I will be at the meet-and-greet! Not sure about the dinner; I may have other commitments. Or not.